Chip sponsors Topher (Christopher Mintz-Plasse), a new support group member, who makes a surprising offer. Dennis helps Kara with a legal problem. London and Chip have a moment. 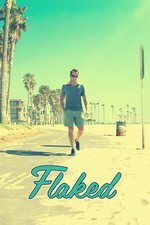 "After four episodes of rather listless, plot-less happenings, Flaked seems to be turning a bit of a corner. Whether that leads to anything meaningful and worthwhile is still completely up in the air, but “Electric” is certainly the best episode since the premiere, and that’s because it starts to chip (sorry) away at the façade it presented early in the season. For the first time this season, it feels like Flaked is actually questioning its characters, playing bad cop and shining a lamp in their faces and asking them just what the hell they think they’re doing. Flaked has its characters talk an awful lot about truth, but “Electric” is the first time that something resembling truth seems to come to the forefront." Topher is the character we all have a gut instinct that Christopher Mintz-Plasse is born to play and I kinda hate that. His face shouldn't be destiny like that. I really want that character to surpass our expectations and not play into them.